PHOENIX – Computer system problems prevented people from voting at more than 60 polling places in Maricopa County for much of Tuesday, angering voters who waited for hours, spent time in long lines and worried whether the votes they eventually cast would be counted. Thomas Earl Council’s experience was typical of the problems that plagued voters and spurred a call by Secretary of State Michele Reagan – ultimately rejected – to keep the polls open past the 7 p.m. close. 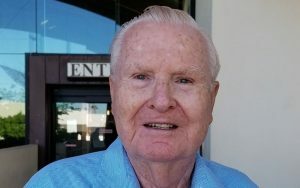 Council said he had to relocate this morning from his designated polling place, Barnes Elk Lodge, after the person who was supposed to work the computers wasn’t there when Council showed up at 6 a.m. He waited for two hours but the problem wasn’t fixed, he said. 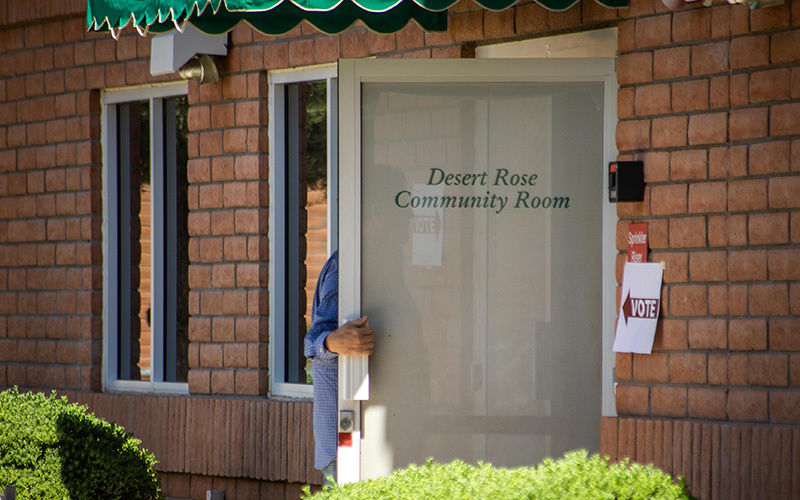 “Two hours later, they should of had it working,” Council said, who had to go to a polling place in Scottsdale. Council worried that if young people have a bad experience, it may deter them from future voting. Taylor Stephens was among several people worried whether their ballot would even count. After she arrived at Burton Barr Central Library she was told to manually deposit their ballots in a bin because printers were not aligned properly and weren’t reading ballots when workers tried to scan them. “I asked if it would be verified manually, and didn’t really get an answer,” she said. County Recorder Adrian Fontes, in a news conference in mid-morning, said 62 locations were not setup when polls opened at 6 a.m. That was down from the previous day, when alarmed election officials estimated half of the county’s 500 poll locations might be compromised. But the county board of supervisors late Tuesday rejected Reagan’s and Fontes’ recommendation to extend poll hours past 7 p.m. In light of today’s issues at Maricopa County polling places, they should seriously consider asking Superior Court to have selected locations open later than 7pm. Another voter, Brent Kleinman, arrived at the Encanto Park Clubhouse polling location in Phoenix at 7 a.m. He also said the location was closed due to computer difficulties. When he returned later around 10:30 a.m. the location was still closed, so he went to Burton Barr and had to cast a provisional ballot. Kleinman said he was worried the difficulties and confusion would dissuade people from voting. Fontes said a shortage of contractors caused the technical difficulties and led to some locations not being set up before the polls opened. He said the office only had 75 of the required 103 contractors. Fontes said his office became aware of the lack of contractors about 2 p.m. Monday afternoon and worked throughout the evening and morning to make sure polling locations could open. At the height of the problem Monday evening, Fontes said, his office was worried 250 locations wouldn’t be open in the morning – about half of the 500 locations in the county. The office then began training their own staff to work the machines and computers. “This has been an exercise in patience, strategy and planning,” he said. The election day scramble ran counter to previous assurances from the Secretary of State’s Office that Maricopa County and state authorities completed accuracy tests on all of Arizona’s voting machines and systems. 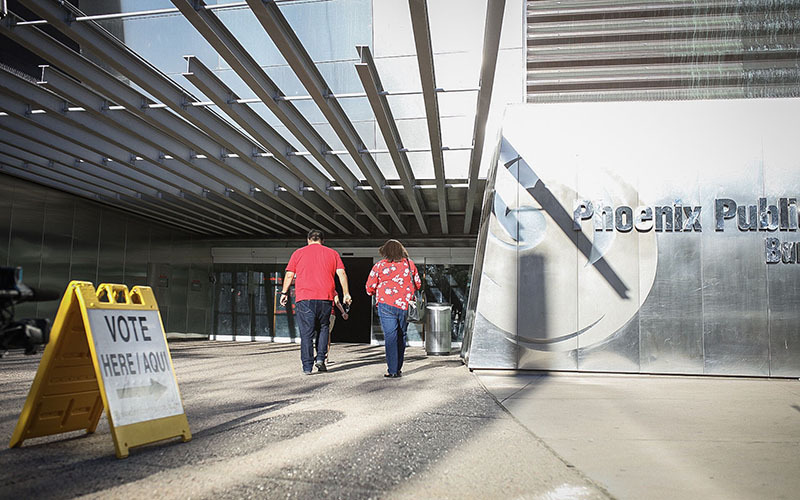 Maricopa County has a history of election day troubles, including during the 2016 presidential primaries when voters had to endure long lines and wait times up to 1 ½ hours to cast their vote. Fontes later beat longtime County Recorder Helen Purcell, who was excoriated over the problems.